Government will take a more stringent approach to gun-related crimes and repeat offenders as it intends to bring stricter legislation to Parliament in the near future. The Hon. 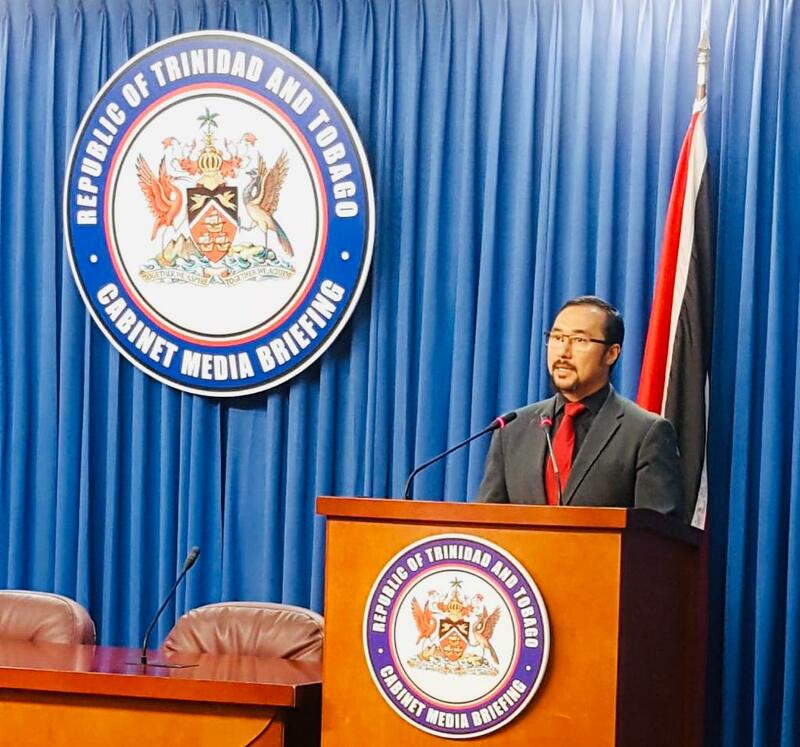 Stuart Young Minister of National Security, Communications and Minister in the Office of the Prime Minister made the announcement at the Post-Cabinet media briefing today (04.04.19). He said the details of the legislation will be announced soon. Intelligence operations foiled a plot to harm a prison officer. Minister Young said one person has been held in connection with the threats after intelligence helped to identify the alleged suspect. He said Government will not tolerate the threats of criminal elements either inside or outside of the prison system. He added that Government is in the final stages of the procurement process needed to purchase 250 handguns for prison officers. The contract is expected to be awarded soon for the purchase of the firearms. The Hon. 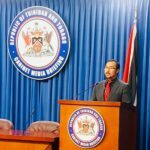 Stuart Young said the proposal for the registration of Venezuelans currently in Trinidad and Tobago was presented to Cabinet today. A decision was made to send it to the Finance and General Purposes Committee – a sub-committee of Cabinet – which will sit on Monday. Cabinet should have a response from the Committee soon. Minister Young assured, once again that the Cumuto to Sangre Grande Highway does not at any point pass through the Aripo Savanna. The Highway will pass through a Government grown and owned pine field that was cultivated for commercial use. Government continues to work closely with the EMA to ensure the protection of the Aripo Savanna which is a National Heritage site. There is nothing secret about the fast ferry lease which will see the arrival of a vessel from Virtue Holding in May. The Hon. Rohan Sinanan, Minister of Works and Transport spoke about this plan last year in Tobago. In August last year, an advertisement was published in both local and international media making a request for tenders for the vessel. Cabinet Approves Financing for Australian Vessels. He also announced Cabinet’s approval of financing for the purchase of two fast ferries which will service the sea bridge between Trinidad and Tobago. Government secured financing for the purchase of the two fast ferries from the Australian Government Export/Import Financing Corporation. Law enforcement officers have been praised for their participation in a multi-million drug bust at the Atlantic Pier yesterday. Minister Young commended the professionalism of the men and women of the Coast Guard, the Marine Interdiction Unit of Customs and Excise and the Trinidad and Tobago Police service who took part in the eight-hour operation that ended in success. He said testing done on the package indicated that the contents appear to be cocaine.